Dawn comes to the giant sequoias of Yosemite's Mariposa Grove, the largest trees in the world. It is a June morning, the peak of the spring breeding season. The dawn chorus evolves minute by minute, as a variety of species wake up, sing and leave to go off for breakfast. The single note of the Mountain Quail excites the reverberation of the forest, revealing the space around us. This album was recorded in a single take - unedited and unmixed. 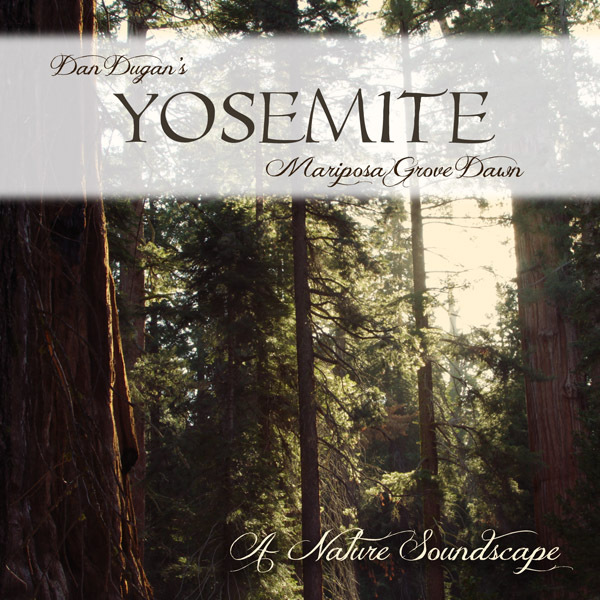 "Mariposa Grove is away from the main Yosemite Valley, on the southern edge of the park. On my annual visits, I tried various locations in the grove before discovering a superb spot in the Upper Grove at an altitude of 6500 feet, free of creek noise. The place is magical. I return to it again and again, in all seasons."